Tennessee entered this game as a sudden darling…beating Dallas and New England (this shows how weak NE is this season) in consecutive weeks. Super Bowl here we come! The problem is – the Colts have been rising up for several weeks as well…and no one in the media really cared. Oh, and the Colts were the better team going in anyway. Indy jumped out to a 17-0 lead in the 2nd quarter and it just collapsed from there for the Titans. 38-3 eventually before a mercy scoring by the Titans late. Tennessee was never in this game. It was a bad time for the Titans to collapse…falling to 5-5, tied with Indy at 5-5…but just lost the tiebreaker upper hand to Indy. We’re still projecting Tennessee to land around 8-8 in the end…and out of the playoffs. Indy is headed to a crossroads Week 14 at Houston…that game may decide the AFC South. I believe, and have back to when they were 1-5, that the Colts are the best team in the AFC South…but they may be in too deep a hole to catch Houston in the end. Indy has an outside shot to lose to Houston/give up the AFC South but get to 9-10 wins and make the wild card…and be a dangerous wild card. -- I was going to start with Marlon Mack, but Jonnu Smith (6-44-0/8) forced my hand to push him to the #1 spot. This is the first game, full game, where I felt like Smith was becoming a top/looked-for target for his offense…not just a ‘guy available on the field’. It started a few weeks ago and has been growing and this kinda clinched. Smith was slipping out for passes and both Mariota/Gabbert were looking for him, even if as a check down option. Jonnu was the most targeted receiver for the Titans this game. His targets in games since becoming starter have gone from (starting Week 2): 0-2-2-1-1-3-2-3-8. The fear/caution is – this game was not a ‘Titans game’. They want to get a lead and sit on it. This game they were down 24-3 at the half and threw more passes than they’d like to. I’m not ready to trust Jonnu as an FF starter/TE1, but I am starting to put him as my 2nd TE in places just in case the small breakout is about to happen and I can be a week ahead of it. I don’t think Smith can be a top 5 in fantasy TE1 in this offense…more a #8-12 TE, at best. He does look very good of late, getting very comfortable as a receiver as the weeks have gone on. -- I really thought that Marlon Mack (16-61-1, 1-8-0/2) had split more time with the other RBs, but I saw (on the re-watch) him starting off the series in a lot…just not heavily utilized on a lot of early plays. The concerning thing was that he started coming out in the red zone a bunch. In the first four Colts series (it started getting out of hand after that), Mack was in on 15 snaps and Hines 9 times total…but Hines’s nine times had him in on red zone work like 6 times and Mack in on the red zone like 4 times in that ‘first four series’ span. I didn’t like the feel of it live, as a Mack owner…nor, on the re-watch. Mack split too much time…to much key time for my liking. Frank Reich is from the Doug Pederson (recently) coaching staff of RBBC. Mack isn’t hardly involved in the passing game either. Mack is not a lead RB talent, so a quasi-split/RBBC makes sense. The Marlon Mack story is losing steam…I hope you dealt him hot over the past few weeks – his window of value was as high as it will ever be about 3-4 weeks ago. I know a number of you turned him into a big Kelce/Ertz deal – and that may have been the title winning move of 2018. -- Dontrelle Inman (4-34-1/6) is the #2 preferred WR for Andrew Luck. Lock it in. The #2 WR on a high-functioning passing game. He’s might be a strong WR3, maybe even WR2.5 ahead. Last three games: 4.7 rec. (6.0 targets), 42.3 yards, 0.33 TDs per game. -- How about our last week’s perfectly-timed #1 ‘buy low’ T.Y. Hilton (9-155-2/9)…that was a winning move many made last week as well. -- Jack Doyle (4-43-0/4) is definitely a liked target by Andrew Luck, but there’s not enough action going to take him FF-seriously. He’s a fringe TE1 you hope somehow finds the end zone. -- Strong performance by the Colts defense. They’re still too erratic for me to bet a lot on their DST. MIA-JAX the next two weeks makes me want to. NYG Week 16 looks decent too. -- I still like the Titans-DST despite this blowout. Everyone has to adjust their worldwide dials, like we did weeks ago – the Colts are a top 5-10 NFL offense. You don’t want to face them. 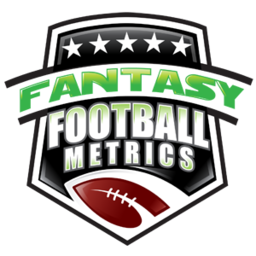 Weeks 13-16 the Titans have Darnold-Bortles-Eli-McCoy…you could use them from Week 12 on if needed (Week 12 v. HOU is so-so). TEN has JAX-NYG-WSH in Weeks 14-16…not great for two of those weeks for the ‘weak’ Corey Davis. IND has HOU-DAL-NYG in Weeks 14-16…should be mostly find. Not great for Marlon Mack with those defenses. Two top 6 run defenses to face.